I absolutely loved doing this with my daughters!! 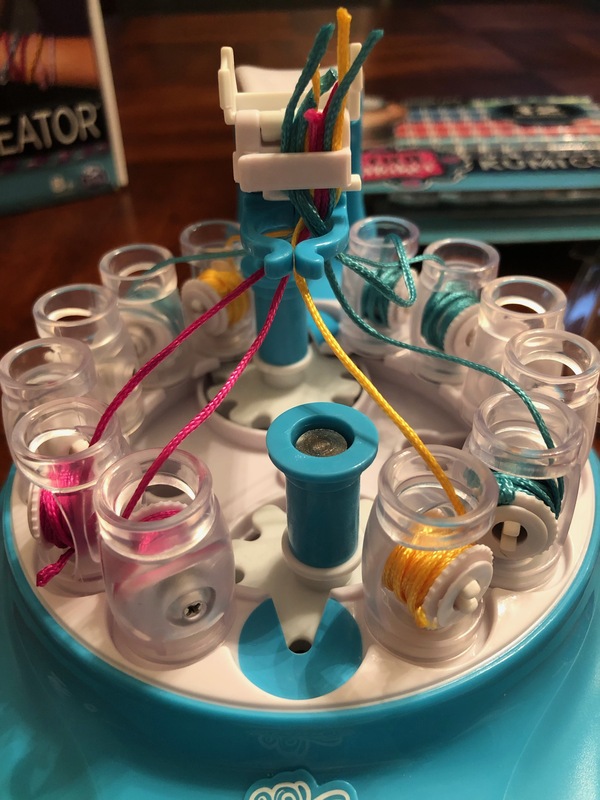 I helped my oldest put it together and feed the thread through, but she picked the colors and had fun spinning the treads into a beautiful bracelet, which my two year old helped with as well. 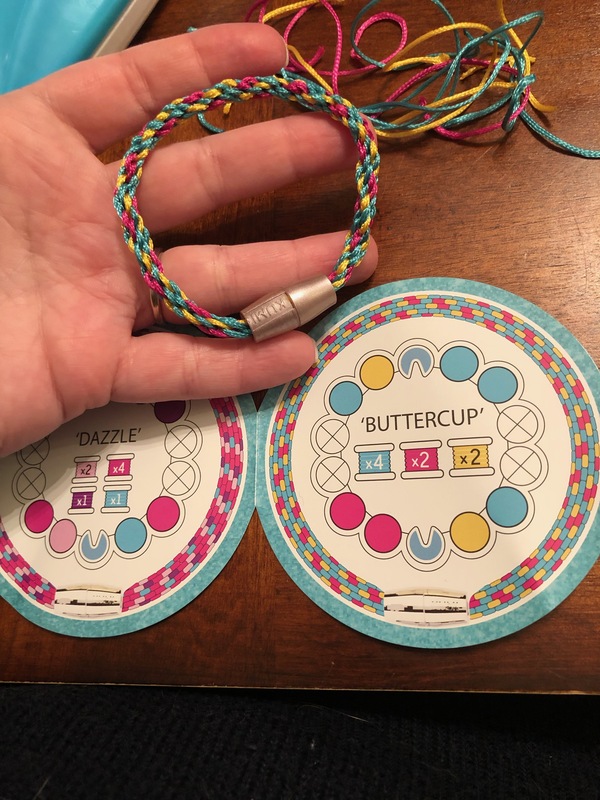 Very fun and a great way to make bracelets that your kids can share with their friends and even do at a get together/birthday party or even as a family. Definitely recommend, a product worth the buy and I'm so glad we got the privilege of trying it free. Thank you!! We got to try a sample for our honest opinion and my daughter n i love this! Super simple and easy to do. 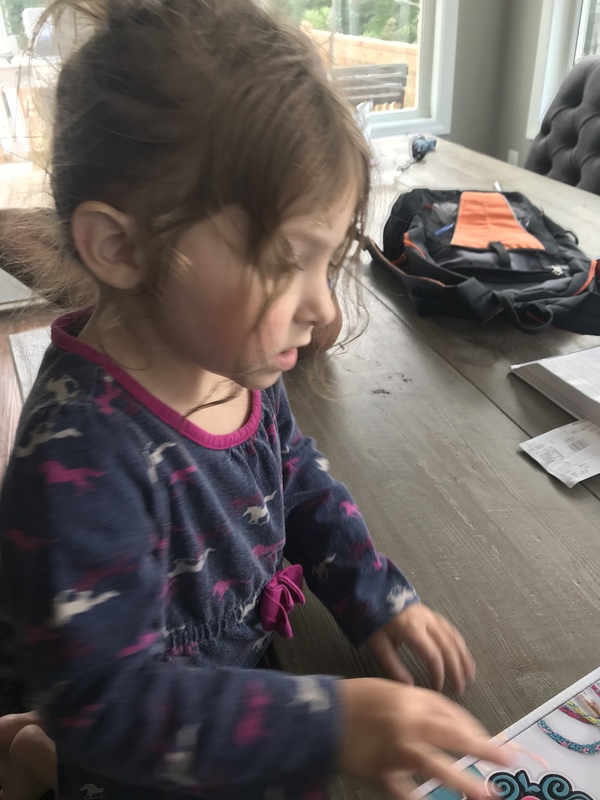 It keeps my daughter well entertained for hours. Will be purchasing these for my neices! 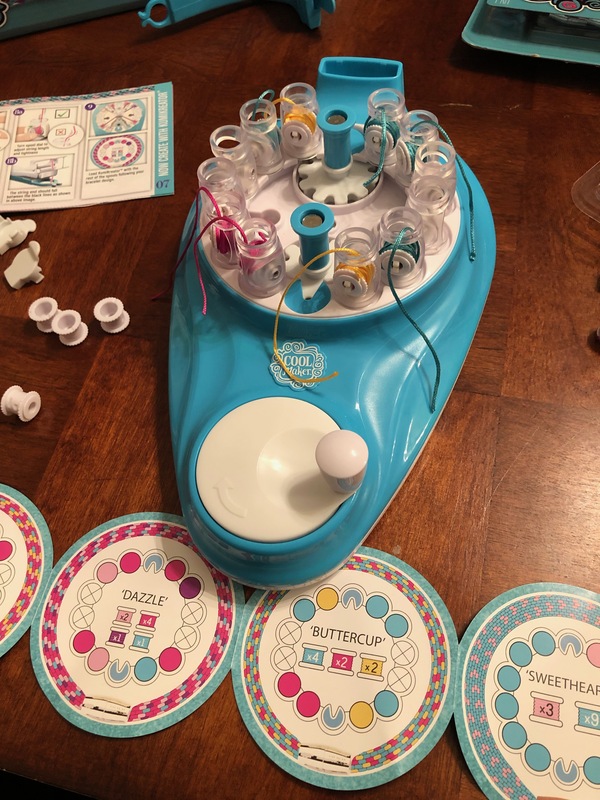 My 9 year old loves this bracelet maker! I was a little worried that it would be a bit overwhelming for her but to my surprise it was actually really easy for her to use. She only needed help loading the spools. 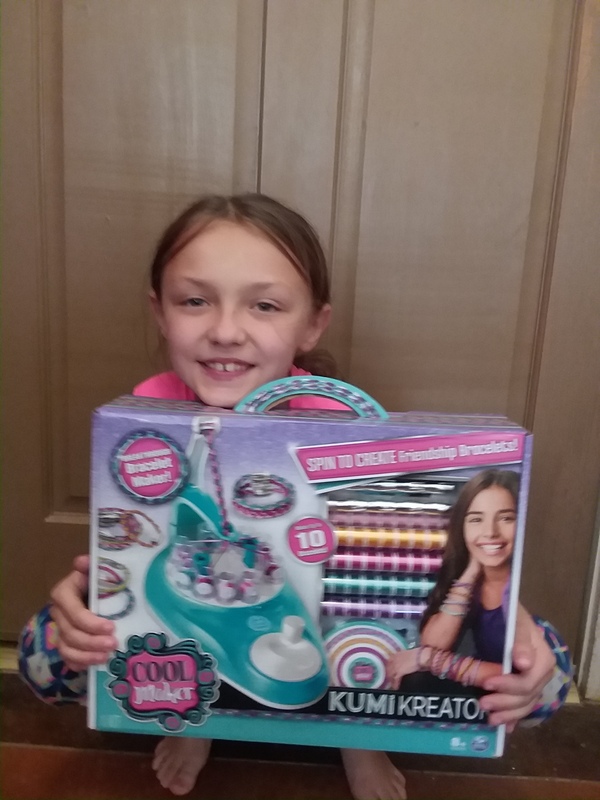 It comes with everything needed to make really fun and cool bracelets. Once everything was set up we were able to make bracelets in a matter of minutes. I love that it comes with enough string to make a decent amount of bracelets. My daughter couldn’t be happier to share her creations with her friends. 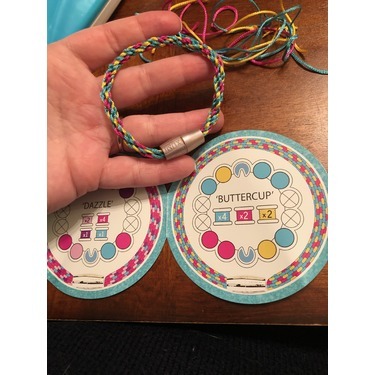 I’m super impressed with this bracelet maker, I have bought similar products before but none of them compare to the quality and the concept of this one. Crafty Fun for Crafty Kiddos! 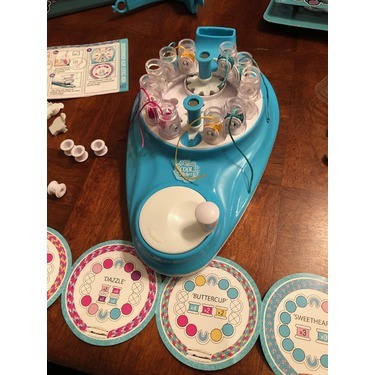 Both kiddos really enjoyed learning to use this cool toy. Setup was easy and after a little troubleshooting, they were on their way to creating beautiful jewelry masterpieces! This would make a fun gift idea for a crafty kiddo. We got a chance to try this out. 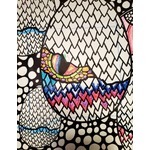 I have 2 older tween girls that love arts and crafts. It came with girly colors of spool of thread to make 10 bracelets. We love that you dont need batteries to operate this, one this it took us a little bit to figure out how to spool the thread in the machine. We had to read the directions a few times. after reading if a few time it got simplier. 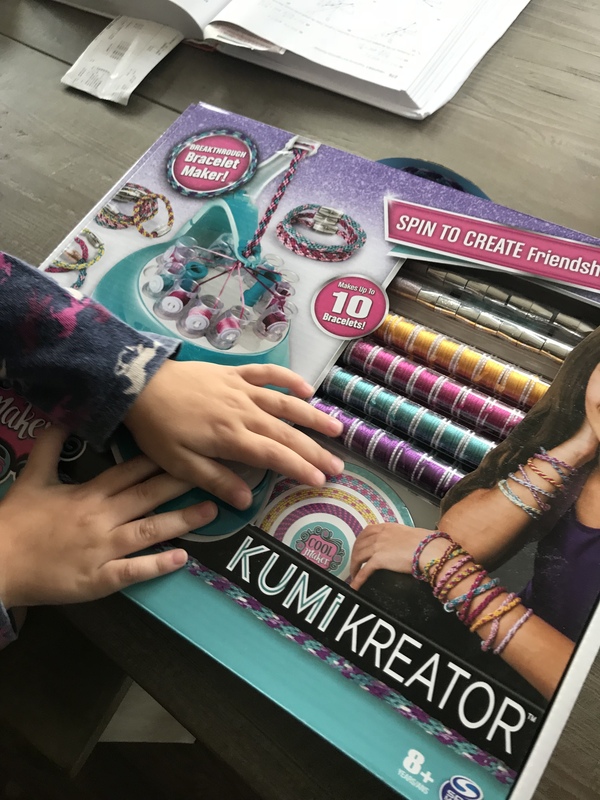 We like that is can with a little book for fun ideas on bracelet designs. 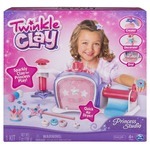 Over all this has to be a great gift or something fun for a sleepover or just mommy and teen time. 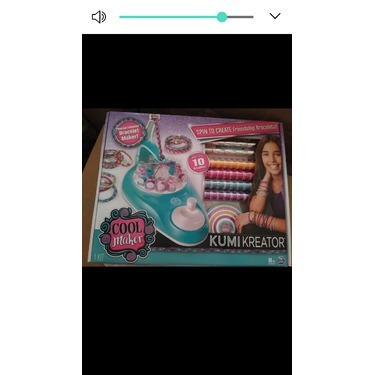 The KumiKreator Bracelet Maker is a lot of fun to use, it makes making bracelets so easy and fast. The set comes complete with enough supplies to make ten bracelets which is great. 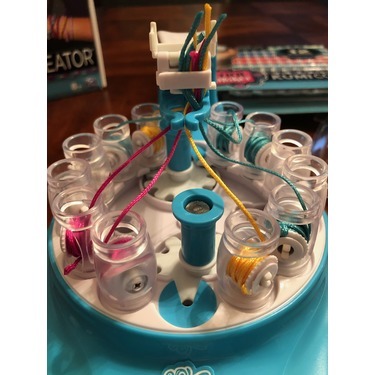 It does take awhile to get those spools situated the first time you use it but after that it is so simple and quick to setup and once you start spinning you have very cute bracelets to wear and share. I think this is perfect for any girl over 8 but definitely with parent help for under 12. 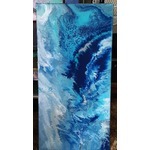 I also do recommend watching the instructional video on coolmaker.com as it makes it so easy to help setup. 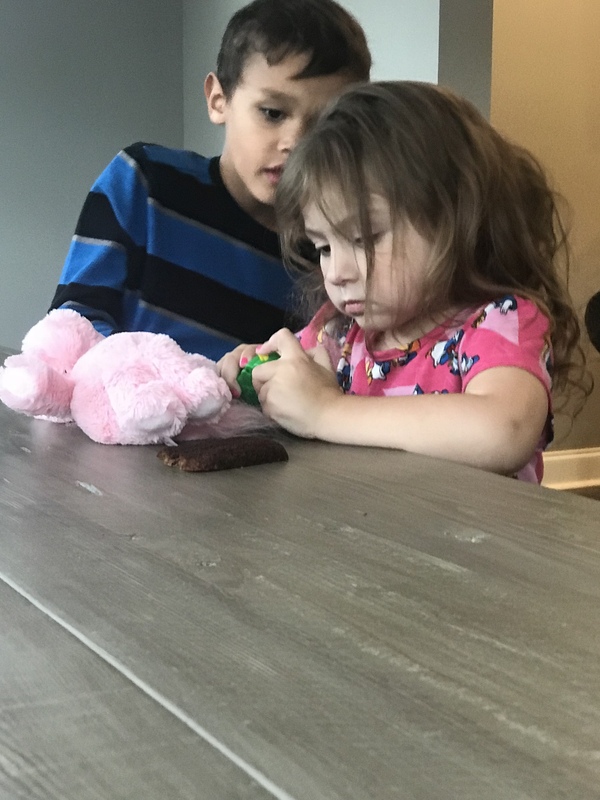 We love crafting in our household so we were super excited to try the KumiKreator! 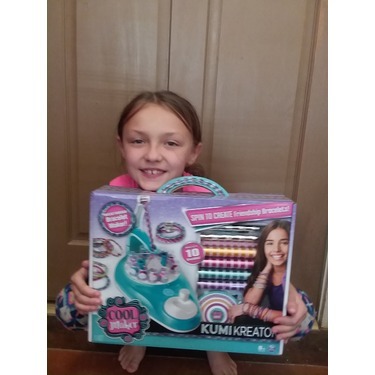 The KumiKreator comes with everything you need to make 10 bracelets. There is lots of different colored thread so you can choose what colors you want your bracelets to be. Also, there is a refill pack that has other colors as well. We are planning to get the refill pack soon! First and foremost, read all the directions! Its a little confusing if you don't. After understanding how to use our KumiKreator we were able to pick what thread we wanted and make a beautiful bracelet quickly! Its lots of fun to watch the bracelet come together. One thing that I really like about the KumiKreator is that it doesn't need any batteries. You can get to making bracelets right away! 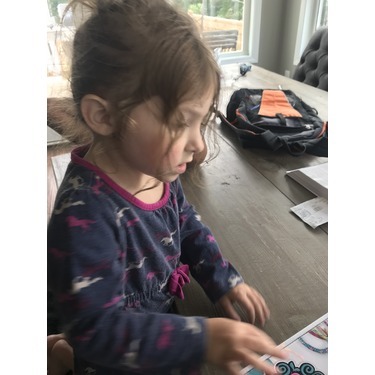 We really enjoyed using the KumiKreator, its a way for my kiddos to be creative and create something beautiful to wear and it keeps them occupied for awhile all while having fun!! 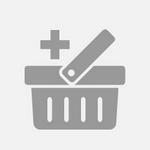 I received the KumiKreator for free for testing and reviewing purposes. All thoughts and opinions are based off of my experience with the product and are my own. 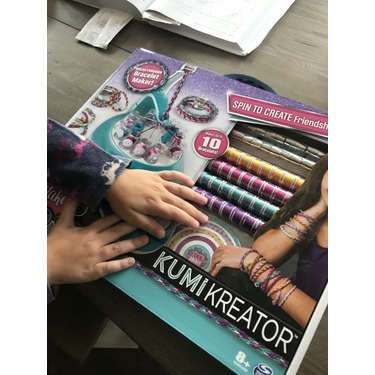 My daughter was super happy, had seen the advert on TV, she was so intrigued, was easy to use, very creative and crafting, got her busy, made different colors of bracelets for her friends in school.it was fun to see her improve her skills with the help of Kumikreator Bracelet Maker. My kids absolutely love the Kumi Kreator! In fact, they have already convinced me to buy a refill for it. They used up all the string in the kit in 3 days. 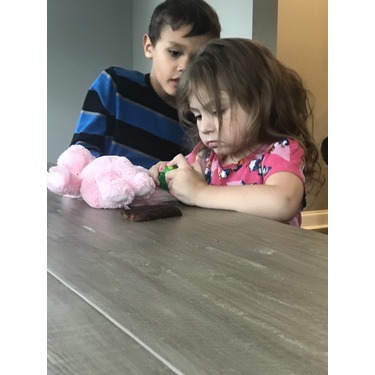 I had to help them figure out how to use it the very first time, but after that they could do it completely on their own. 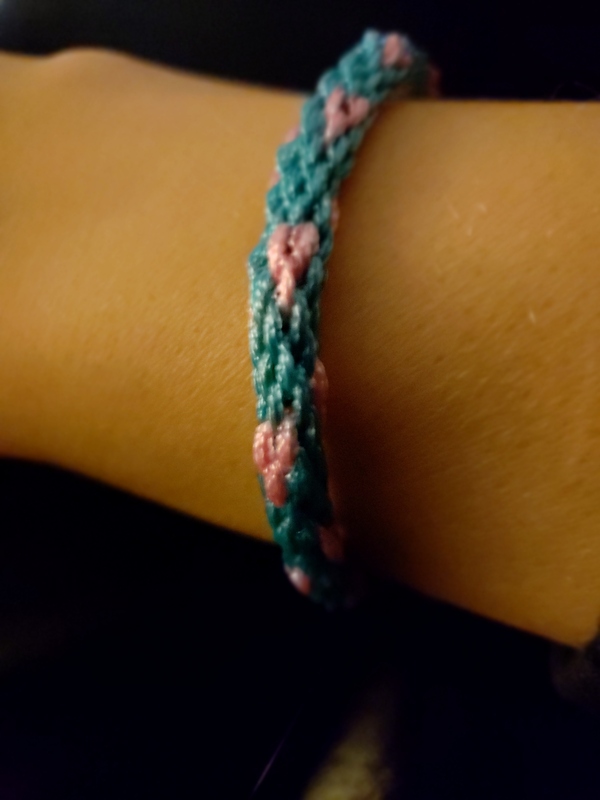 My girls are 5 and 9, and they both loved making these bracelets. They made bracelets for themselves, for me, and for their friends at school. The colors are very girly in the starter kit, so for the refill I ordered, we chose some more regular colors like blue, black, and red. They made the most beautiful bracelets, and they look handmade, too. I have worn the one they made me out several times and it's just so cute! 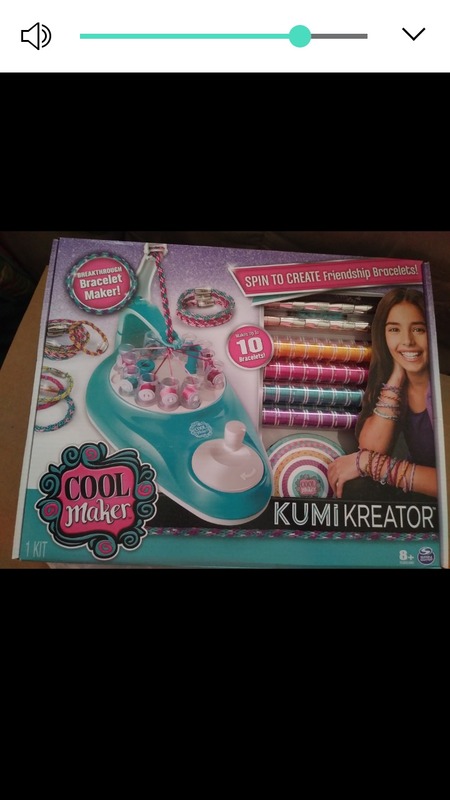 Thanks to SpinMaster we got to try the Cool Maker KumiKreator Bracelet Maker for free!!! At first look, the braiding machine looked scary to load, but it came with easy to follow step by step instructions. Plus, a link to a video showing how to set it up in case you still have questions. My only negative is it does take longer to load the string on, then it does to actually make a bracelet, but after a few times it became easier and quicker. 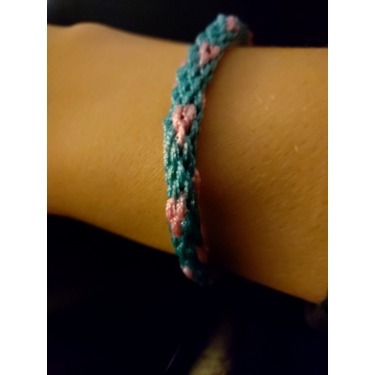 My daughter loves making friendship bracelets, and this makes the intricate braiding super easy and fast!!!!! !